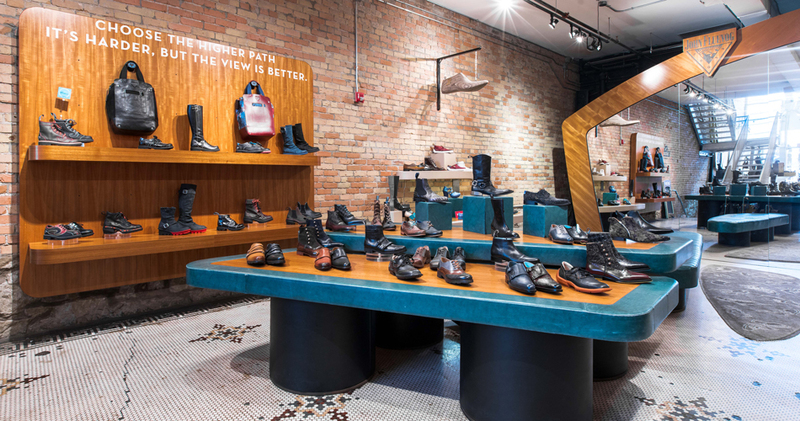 Located in the heart of Stephen Avenue’s shopping district, John Fluevog Shoes has been serving the good Fluevogers of Calgary since 2011. 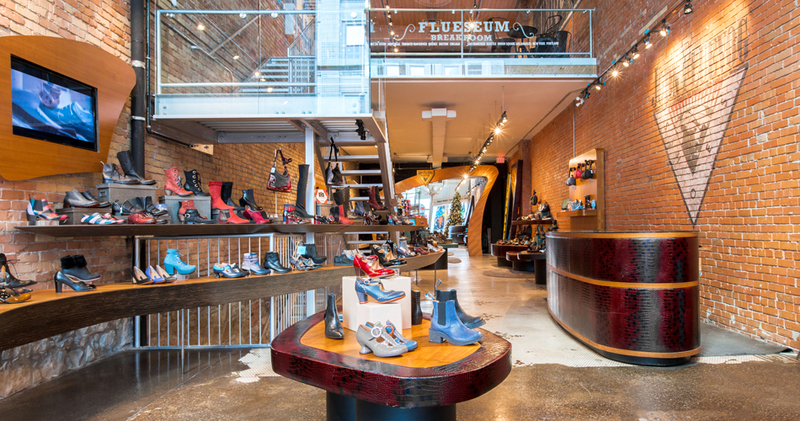 Located in a repurposed alleyway near a turn of the century mill, JF Shoes Calgary proudly boasts custom furniture, an art gallery, and an Official Flueseum designed and curated by John. There is even a public ‘break room’ with a VogVending machine full of cool and crafty items made by real Fluevogers. The lovely staff welcome you to try on some shoes, or even kick back, relax, and draw some shoes. 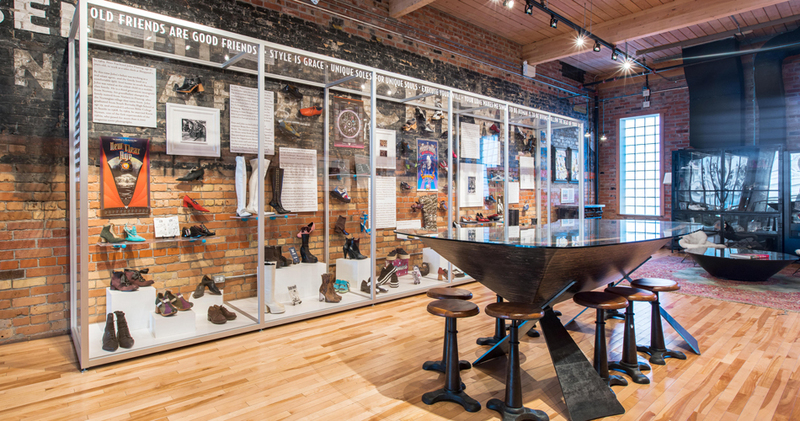 Come in and experience the history of John Fluevog.